Swirls of buttercream, cascades of iced ribbons and blossoms — wedding cakes are the stuff of dreams, and it’s the rare guest who doesn’t look forward to the prospect of that magical last course. But there’s no sugar coating it, the cost of confection perfection can soar. Especially these days, with desserts (and dessert tables) such a major trend. 12. Standard flavors cost less than more unusual “premium” flavors. 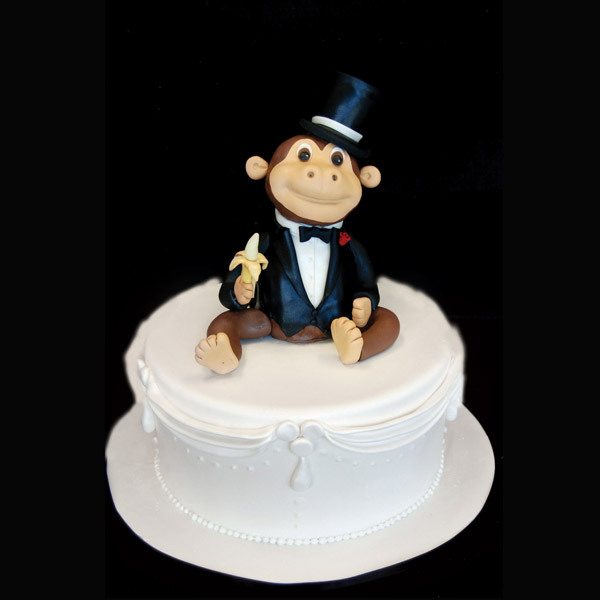 Anne Heap, owner and designer at celebrity favorite Pink Cake Box in Denville, New Jersey says vanilla, chocolate, lemon and key-lime cakes cost a bit less than red velvet and carrot; vanilla or raspberry buttercream run less than cream cheese or chocolate hazelnut cream. 13. 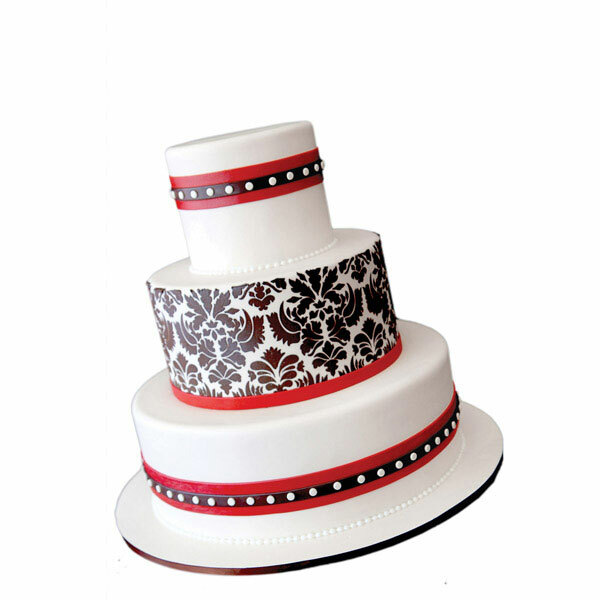 Choose buttercream frostings over fondant coverings. Heap says “Buttercream frostings are $4 per slice, while fondants are $5 per slice.” The extra effort that goes into rolling out and applying fondant accounts for the price bump. 14. Choose standard flavors for the largest tiers, and premiums for smaller tiers to save 10 to 40 percent. And stick to two flavors and fillings, as is often standard. Many bakers will charge more if you order three cake flavors and fillings. 15. Icing dots are easy and inexpensive, says Zamora, and a cake covered with icing “pearls” is an elegant touch. 16. Bigger sugar-paste flowers make an impression for less. Zamora says it’s intricate bloom designs like stephanotis that cost more. 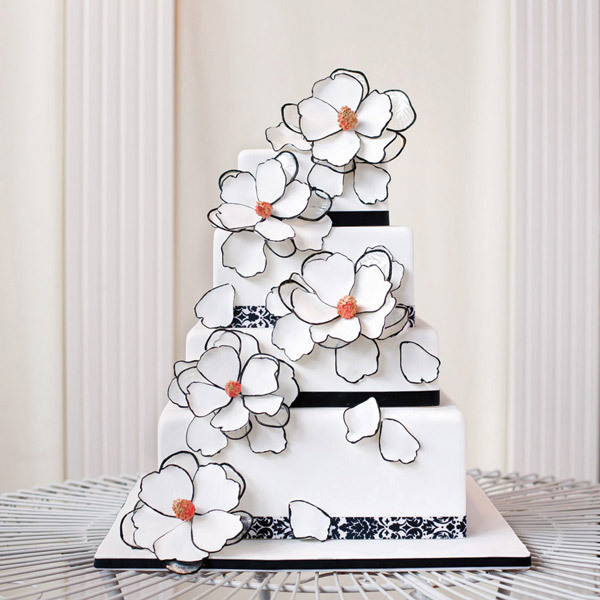 Sugar-paste anemones and peonies are popular budget-friendly accents. 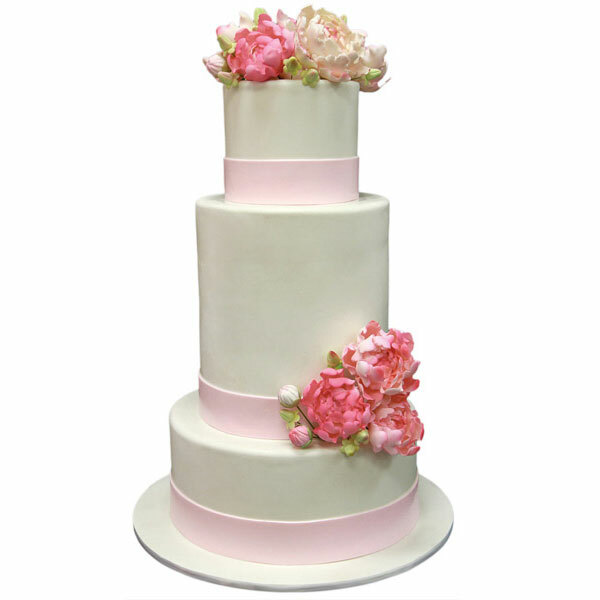 Heap says that limiting yourself to one bold sugar-paste flower on the cake lowers the cost by 40 to 50 percent. 18. Encircle cake layers with ribbon, which takes only seconds to apply. Heap says damask ribbon is popular now, adding more effect than solid-colored ribbon. Affix a crystal brooch to the front of a ribbon wrap for sparkle. 19. Instead of sugar-paste blossoms, embellish your cake with fresh flowers or chocolate-covered berries and save up to 40 percent. 20. Doughtnut cakes are rising high on the foodie trend-o-meter. Doughnuts can cost as little as $5 for a dozen at bakeries. A top cultural choice is malasadas, a doughnut topped with cinnamon and sugar, often priced at 75 cents apiece.